Microsoft’s first Surface tablet proved to be a rather expensive failure, but the Redmond company is undeterred and is rumored to be working on three new Surface tablets – Surface 2 (supposedly an RT successor), Surface Pro 2 and Surface Mini. Little is known about the new Windows RT-running Surface 2, but the Surface Pro 2 will reportedly look pretty much the same as the current generation, just with a “refined” kickstand. The Pro 2 will run Windows 8.1 (what else?) and it will be powered by an Intel Core i5 (Haswell) processor and will have double the RAM, 8GB. The new processor should improve performance and battery life (from 5 hours to 7 hours). Another thing that will lengthen the battery life is the rumored Surface keyboard cover with a built-in battery, called Power Cover. I’m not sure how I feel about this – the whole point of the original keyboard covers were that they were very thin, this Power Cover will turn the Surface 2 effectively into a hybrid laptop (you know the ones with a detachable screen). 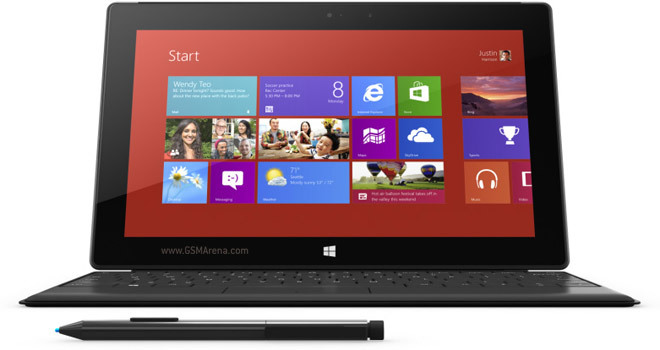 The rumors only mention the Surface Mini by name, but it’s presumably the 7″ Surface we heard about a while back.